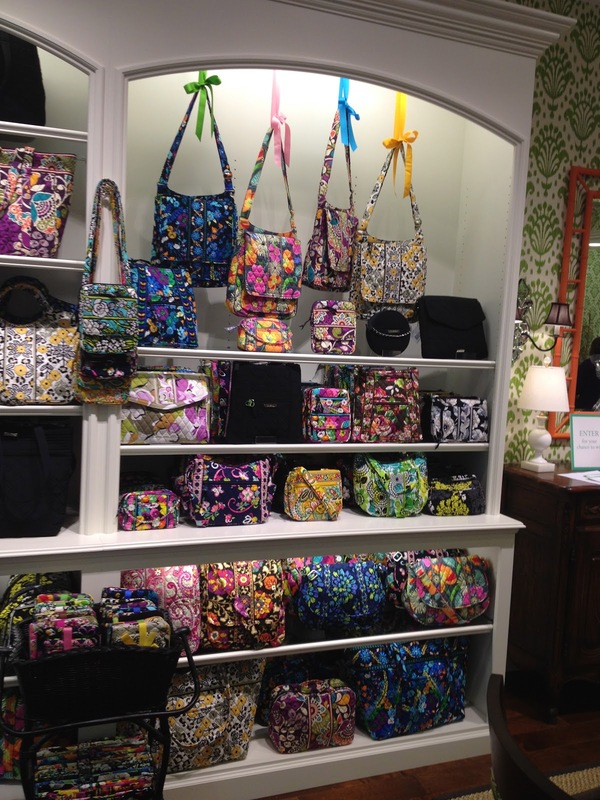 The newest Vera Bradley store opened on Friday, February 15 in Towson Maryland! 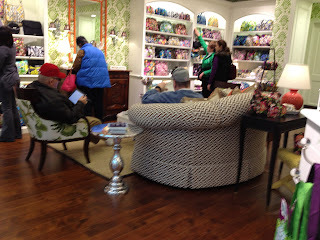 On the following Saturday I was at another Vera Bradley store checking out the preview items and asked the sales ladies how far it would be to go to Towson. They said about 30 minutes and since I was already about an hour from home I decided to take the extra drive to go check it out. I really enjoyed seeing the new store. I talked to a couple of the sales ladies. 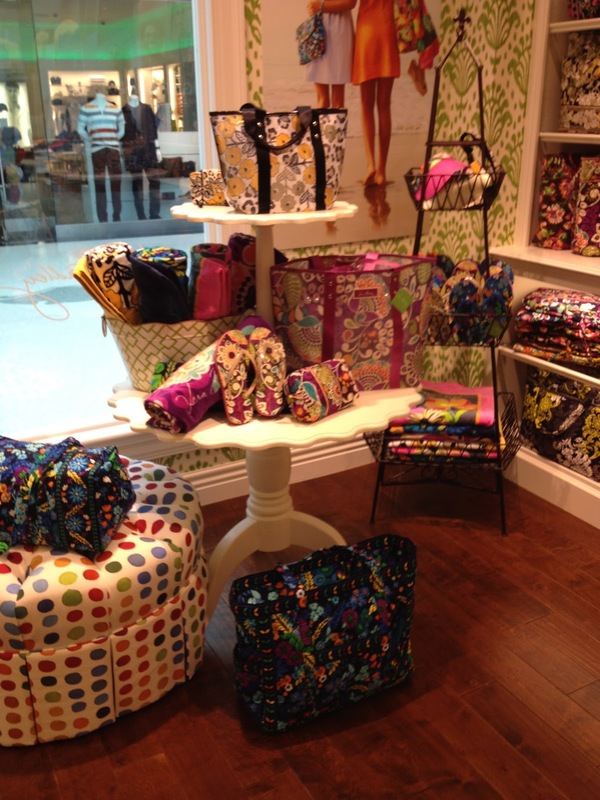 One moved from another Vera Bradley store and one was new to Vera Bradley. Both were delightful and seemed excited to be at the new store. It is a beautiful store, check out my photos below. Store front includes a hanging sign and I have only seen the hanging sign at one other store in Roseville, CA. 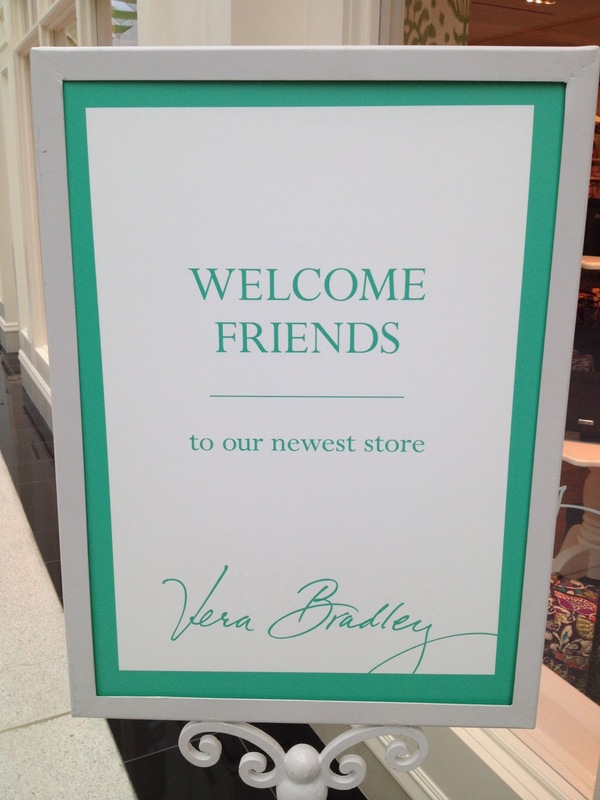 Welcome sign letting everyone passing by know this is the newest Vera Bradley store! 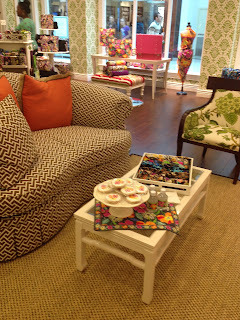 I loved this multi colored polka dot ottoman! This made me smile, two gentleman reading in the sitting area, patiently waiting for their wives. 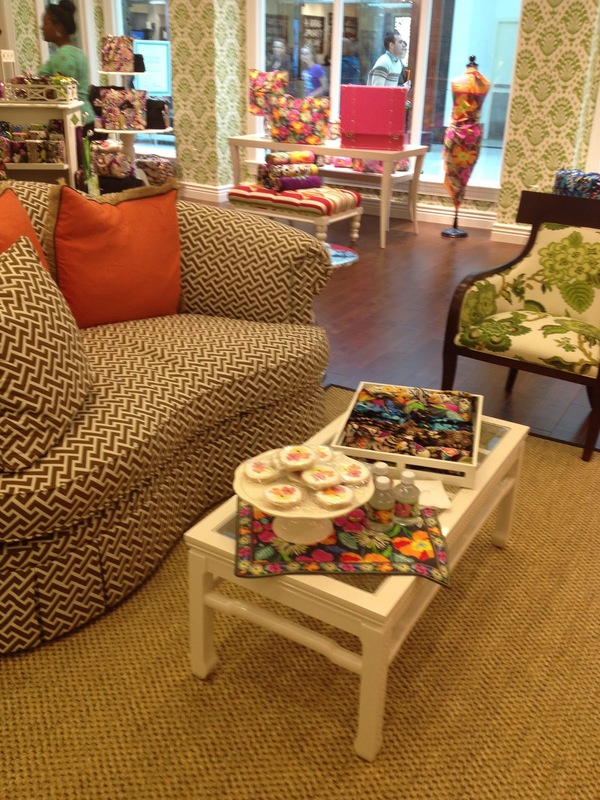 Of course there were cookies and water :) This couch looked so comfortable and it is a different style than I have seen in other stores. All of the furniture was beautiful. 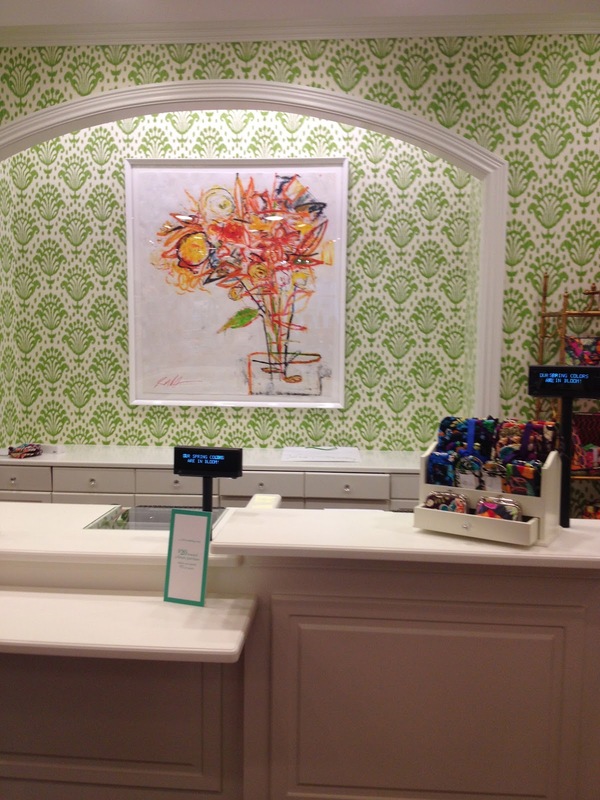 All Vera Bradley stores have a larger piece of art behind the register by Ira Yeager. This one looks a little different from others, but I would assume it is still by Ira Yeager. Mailbags hung up with ribbons, even more colorful! 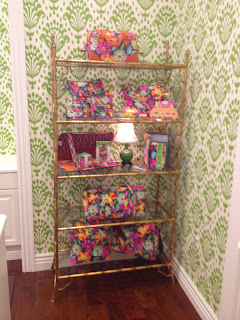 I loved this shelf off to the side of the register. Every store has this photo of Vera Bradley on a dresser near the entrance. Along with their guest book. 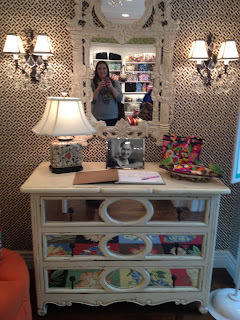 Oh and that is me in the mirror! 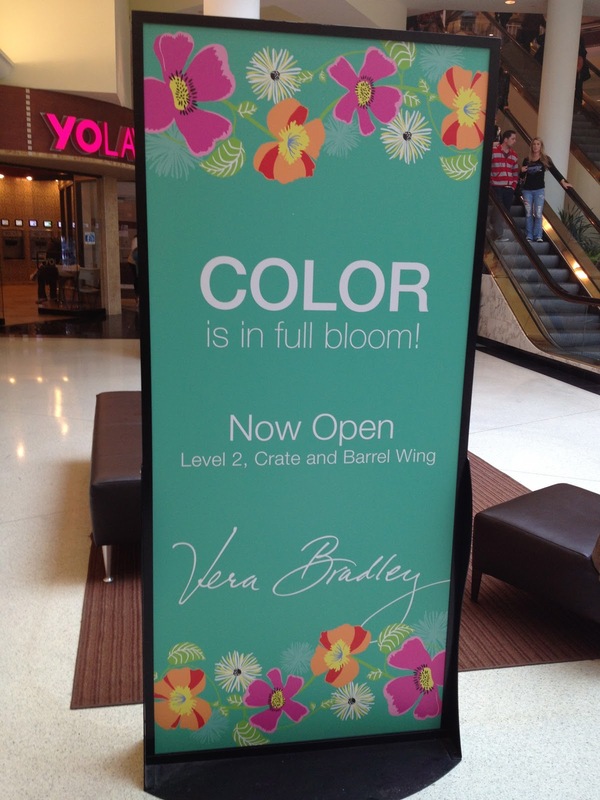 A sign in the mall announcing that Vera Bradley is now open! 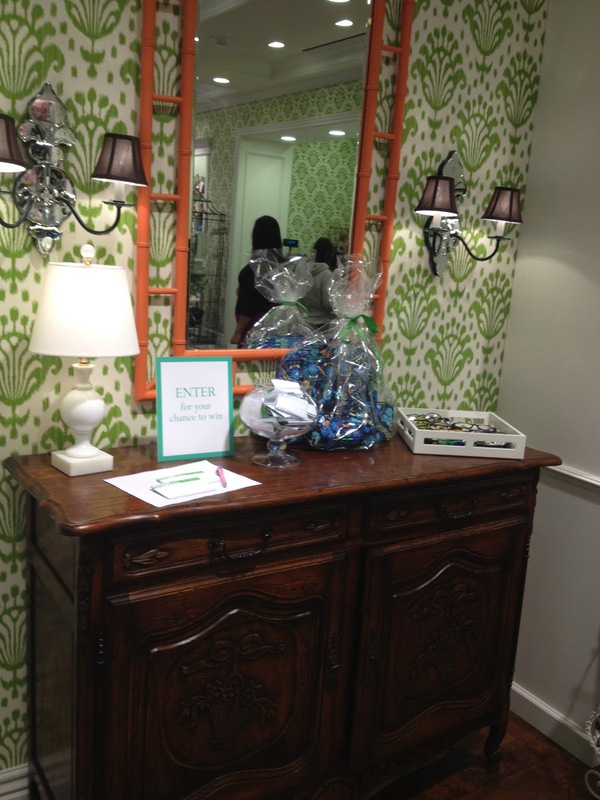 To celebrate the new store all of the Maryland stores in the area were giving out a $20 off a future $20 purchase coupon with any $75 or more purchase. Very nice pictures. 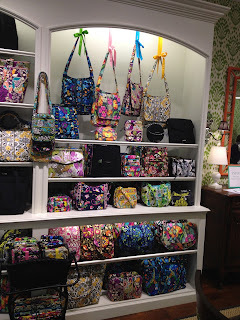 I have yet to make it to my local Vera store that opened in August. It is an hour away and I just don't have the time to drive up there. 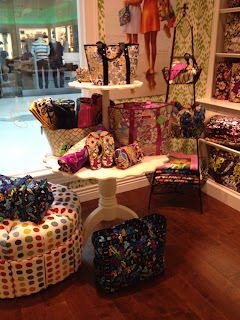 Never been to a Vera stand alone store. 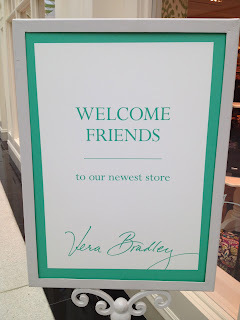 I do help by keeping my local stores though in business buying Vera. Got too many defective items though in my last few online orders. I wish they would put more time into quality control like it seems they do to the fancy interiors of their stores! Will look at the sign at the VB store at the Americana in Glendale, Calif. I think it is a hanging sign. Haven't been there for over a month so will be interested to see if their furniture and displays have been updated. CH, it totally is! I forgot, but I have taken a photo under that sign! 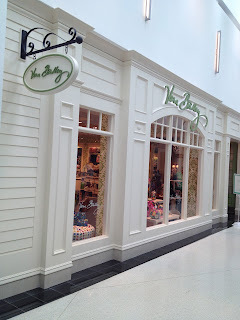 I was gonna say that the Vera store at the Old Orchard Mall has a hanging sign, but it's not the same as the one above. The one above is prettier. I do love how beautiful and unique each store is!